June | 2018 | US Registries LLC. An improving business climate, including tax cuts and elimination of onerous regulations, bodes well for manufacturing in the United States. During the first quarter of 2018, U.S. manufacturing is riding a wave of 19 consecutive months of growth. This manufacturing growth is largely attributed to improving global economies and robust business investment. According to the Reshoring Initiative, reshoring and foreign direct investment (FDI) together grew by more than 10 percent in 2016, adding 77,000 jobs and surpassing the rate of offshoring jobs by 27,000. In 2017, reshoring and FDI job announcements soared adding over 171,000 jobs. The jobs equal 90 percent of the total U.S. manufacturing jobs added in 2017. Already, the preliminary data for 2018 is at least as strong as 2017. Manufacturers want to expand in the U.S. because of its abundance of natural resources. In particular, rebounding oil prices have spurred more drilling and investment. The U.S. has high labor standards, encouraging a high-quality, safe working environment. 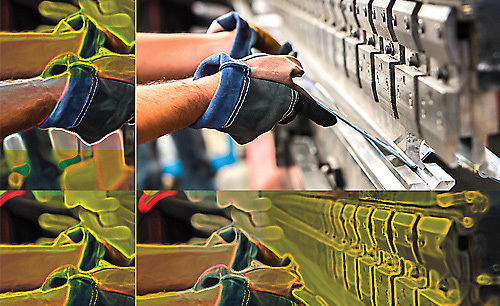 Manufacturers are responding to increasing scrutiny of production practices. In addition, manufacturers are pushing training programs and partnering with colleges and universities to create a more competitive workforce. At the same time, states and communities are integrating job training programs as part of their incentive packages to attract manufacturers’ investment. The Tax Cuts and Jobs Act, which reduced the corporate tax rate from 35 percent to 21 percent, has created investment opportunities for businesses, and the manufacturing industry has already experienced positive results. The American consumer continues to be a draw for manufacturers. Consumer spending is a significant driver of a strong economy. As SelectUSA points out, the U.S. offers the largest consumer market on earth with a GDP of $18 trillion and 325 million people.Manufacturers prefer to be near these consumers. The trusted business climate in the U.S. allows businesses to operate in a secure and stable environment. Companies are finding a wealth of opportunity in the U.S. marketplace. Champion Petfoods, based in Canada, invested in the U.S. economy with a new world-class facility featuring custom-designed kitchens to reach its fastest-growing market — American consumers — as well as select export markets. The DogStar® Kitchens operation is the company’s first manufacturing facility to be located outside Canada. “Kentucky stood out for its rich agricultural heritage, enabling Champion Petfoods to further our mandate of sourcing fresh regional ingredients through local supply chain partners,” said Frank Burdzy, president and CEO of Champion Petfoods. Italian-based Sofidel Group, one of the world’s leading manufacturers in paper production for sanitary and household use, broke ground in Circleville, Ohio, in 2016 to build its first integrated plant on U.S. soil, representing the largest private sector investment in Circleville in decades. “The U.S. market is a key market for our group, because it is the first in the world in terms of per capita consumption in the tissue sector,” explained Luigi Lazzareschi, CEO of Sofidel Group. Sofidel also recently announced a project in Oklahoma that will include two tissue technology machines producing a total output of 120,000 metric tons a year. This will create some 300 jobs. Both the Ohio and Oklahoma Sofidel facilities are expected to boost the economy for years to come. Regulation has significantly influenced manufacturing investment in the United States, but the landscape has improved in the last year. While manufacturers recognize the need for effective legislation, the environment shouldn’t be burdensome. In January 2017, President Trump told business leaders he planned to cut federal regulations by 75 percent or more. Federal department and agency heads were told there would be a hold on all rules, with the exception of emergencies, to allow a thorough review and approval process. This was quickly followed by the signing of an Executive Order declaring that for every new regulation issued, two would need to be removed. The order was contested in arbitration, but the complaint was recently dismissed, pushing the regulatory reform movement forward. The administration has touted the withdrawal or delay of some 1,579 regulatory actions from the fall of 2016 to the fall of 2017, according to the Office of Information and Regulatory Affairs. Furthermore, agencies hope to finalize three deregulatory actions for every new governing rule in fiscal 2018. An executive directive was also issued calling for executive departments to accelerate reviews and approvals of proposals to build and expand manufacturing facilities in hopes of advancing U.S. industry. This action led to a report from the Commerce Department identifying some 20 regulations in need of reform, based on information from manufacturers and industry influencers. Uncertainty related to the permitting process. Inconsistency in application and enforcement. In an effort to address these concerns, each federal agency’s Regulatory Reform Taskforce must deliver an action plan to the president responding to the permitting and regulatory problems found in the Commerce Department’s report. Additionally, an annual forum will be held both for regulators and manufacturers to assess the regulatory landscape. The Commerce Department plans to work with Congress to use the already streamlined permitting procedures established in the Fixing America’s Surface Transportation Act (FAST Act) on other legislation pertaining to manufacturing projects. This should increase projects’ speed to market. Historically, the EPA has been the source of many of the regulations affecting industrial production. The Clean Power Plan was intended to drastically reduce greenhouse gas emissions from the power sector by 2030. Many companies spoke out against its threats to jobs and manufacturers’ access to affordable energy. The Trump administration has proposed a plan to repeal the act in order to alleviate its negative impact on the industrial sector. However, the EPA intends to develop a replacement plan that will take the sector’s concerns into consideration, while also accommodating concerns about negative environmental effects. The current onerous and lengthy processes and inadequately designed rules add to an already overwhelming amount of government waste.Wilbur Ross, Commerce SecretaryMore recently, the EPA issued a guidance memorandum to improve the air permitting process for manufacturers working to increase efficiency by building or modifying facilities such as power plants and refineries. In April, the agency determined through its Midterm Evaluation process that the current greenhouse gas emissions standards for 2022 to 2025 model year cars and light trucks are not appropriate and need to be revised. The goal of this development is to set a national standard for greenhouse gas emissions that allows automakers to manufacture vehicles that consumers want and can afford, without compromising environmental impact or safety. 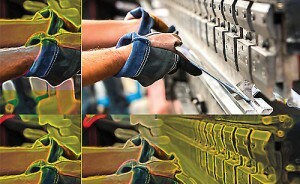 Manufacturers, both foreign and domestic, have maintained that regulatory burdens hinder new investment and expansion. Facing nearly 300,000 restrictions on manufacturing operations from federal regulations, according to the National Association of Manufacturers, businesses welcome the recent changes. While much progress has been made, further action is needed to continue to improve investment into the U.S. Multiple bills have been introduced, with some being partially passed, that seek to increase transparency, expand effective oversight and, most importantly, mitigate overregulation and encourage manufacturing investment. This activity, coupled with growing awareness of manufacturers’ needs, sets the United States apart as an even more enticing destination for business.